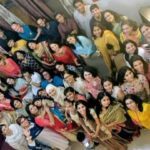 When you are a part of an FB community that is more than just a community but a support group that is ready to reach out and help, you truly feel blessed. 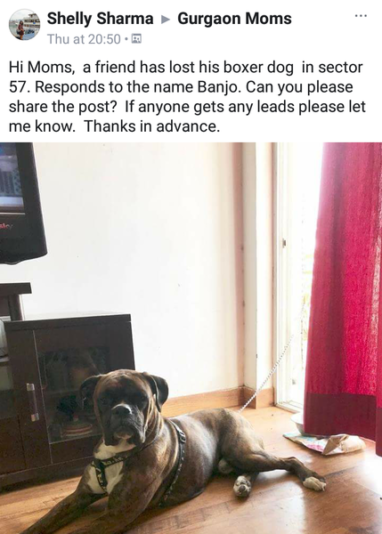 Last week one of our community members Shelly Singh posted about her friend’s lost dog ‘Banjo’. 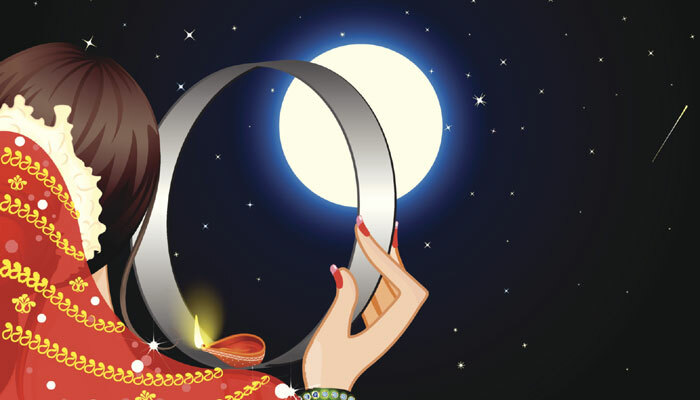 Within minutes another member responded that she had seen a post in the evening about a lost dog wandering. 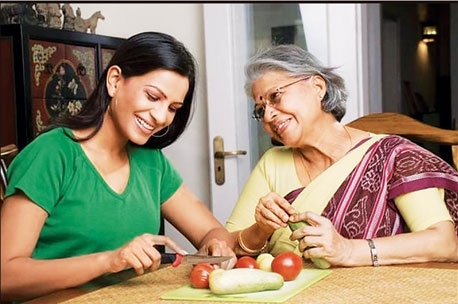 She quickly shared the post with Shelly. 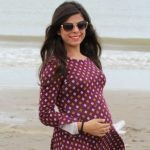 There were two members Anuja Sinha and Anshu Singh who had seen a similar dog on the streets and had shared it in the group. 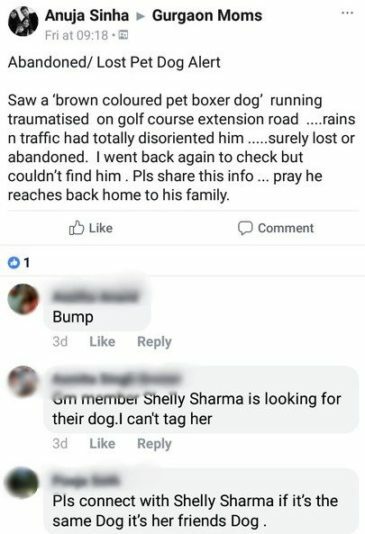 Soon Shelly was able to get in touch with Anuja as she was aware of the exact location of the boxer and then connected them to the owner. 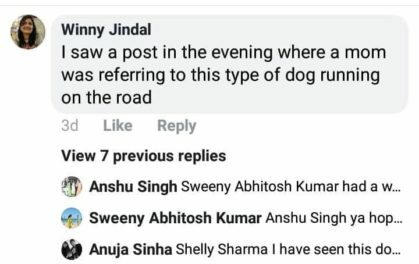 After seeing the lost dog Anuja, had got in touch with her animal enthusiast friend Somali, who suggested her to post the same in the GurgaonMoms community. After speaking with Shelly she got to know that the owners of the dog had been frantically looking for him all night but in vain. 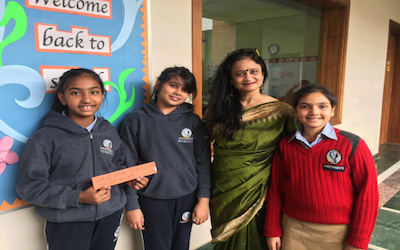 She had also shared the details with her friend Manjula who ran Nirvan dog shelter. 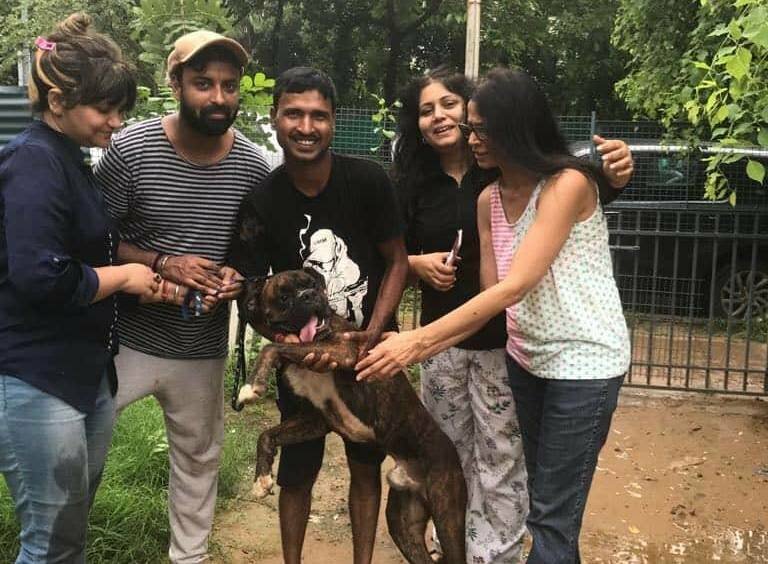 The boxer was found by Manjula’s husband who brought to the shelter. Banjo was soon reunited with his family. 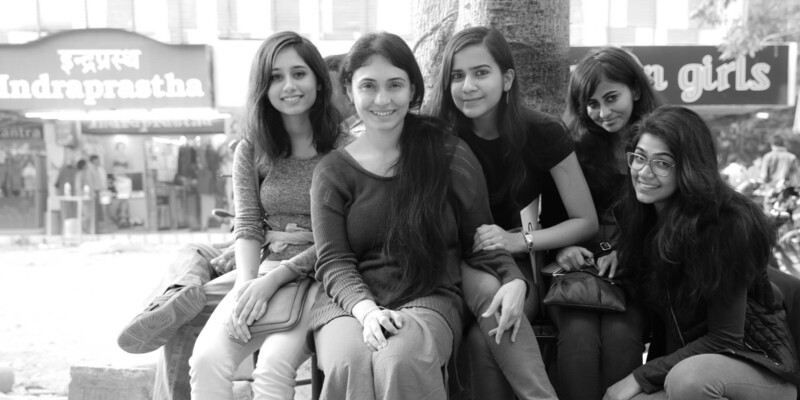 Truly a happy ending and we thank Anuja for sharing her experience with us.